Chongqing in the People’s Republic of China (PRC) has a long history of industrial development. To meet the goal of China’s 13th Five Year Plan, and towards both economic and environmental sustainability, the city strives to undertake a green transformation. 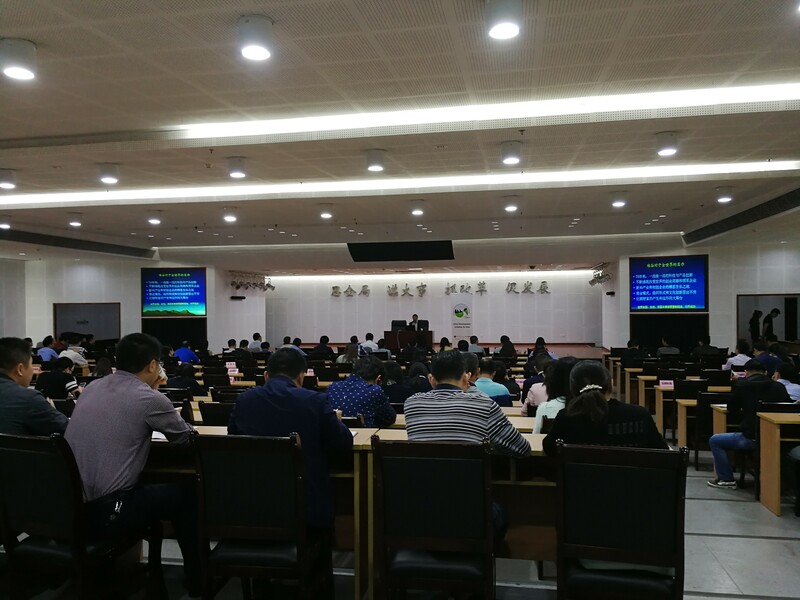 On May 8-11, 2018, a series of capacity development activities were conducted to prepare stakeholders to shift from a traditional to a new development path, where technological innovation, environmental sustainability and social inclusiveness are the new norm. The Yangtze River Economic Belt (YREB) Program is China’s key national strategy to pursue a sustainable and inclusive development along the Yangtze River, with focus on the less progressive upper stream in mid-west China. 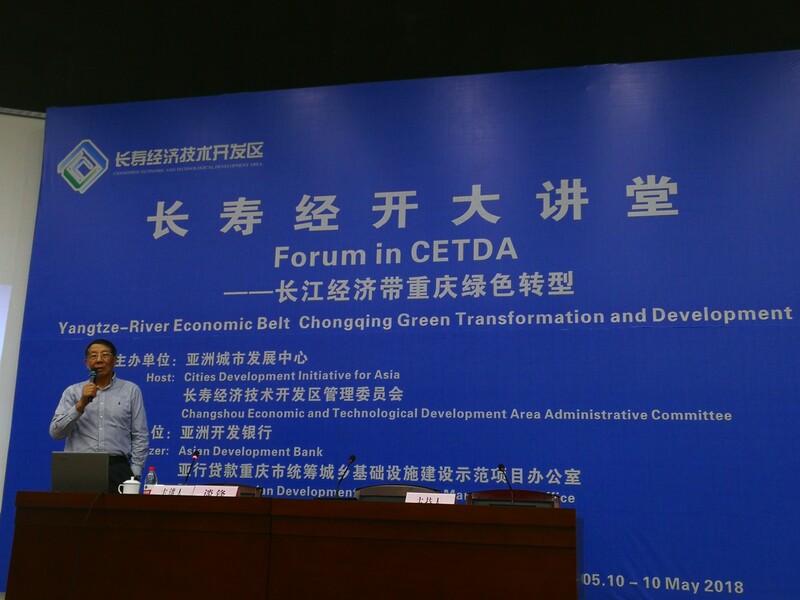 In January of this year, Chongqing applied for CDIA project preparation support for its YREB Green Transformation and Development Project considered for an Asian Development Bank (ADB) financing. 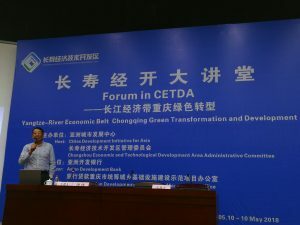 CDIA’s assistance includes focused capacity development activities in line with its project outputs, such as: 1) development of business incubation platform to encourage new industries and support their supply chains; 2) improvement of technical and vocational education training (TVET) system to meet the emerging business and community needs; 3) enhancement of ecological sustainability via flood control and river rehabilitation; and 4) enhancement of project management and business operating capacity. 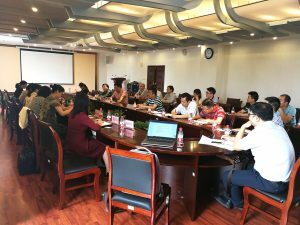 On May 08-11, under the support of ADB and the Chongqing Reform and Development Commission, CDIA organized a series of training activities in four districts of Chongqing. Over 600 participants joined the workshops and lectures, designed to share knowledge and experience on incubation-based education and business incubation, as well as elicit stakeholder support in the project preparation study. The training events were organized into three components. The first component focused on improving the education supply to match industrial transformation. 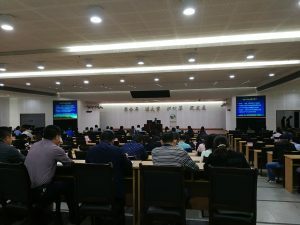 This activity saw the lively discussions on the positioning of Chongqing University of Art and Sciences (CUAS) and Chongqing Vocational Institute of Engineer (CVIE) in developing new engineering majors, cultivating interdisciplinary talent among engineering students, and integrating smart education hardware into the curriculum and teaching methodologies, among others. 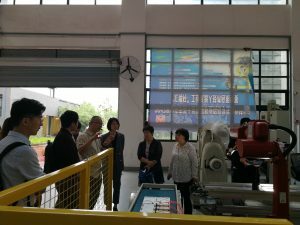 The second component consisted of industrial transformation in Changshou Industrial Park, in which experts provided insights on integrating existing traditional industries with newer ones such as manufacturing, renewable energy, and information technology, among others; and possible collaboration with foreign enterprises and Chinese industrial parks. Finally, the third component which focused on incubation-based education and industrial transformation proved to be beneficial for Chongqing education authorities, universities and vocational schools. The second day lecture even included international and domestic experience on industrial incubation, in which Mr. Tan Feng, a famous industrial incubation expert with 30-year experience in Silicon Valley (an incubation hub) shared his insights on the topic. The training activities hoped to enable the Chongqing Municipal Government and other stakeholders to provide input and additional support to the CDIA project preparation study, particularly in refining the concepts of the sub-projects.